Over the last year, I have written about busyness being the enemy of spirituality and reflected on my son’s feedback that I am a nicer person without my iPhone. But do I really believe in what I am writing? It is incredibly easy for those who write blogs to sound off on all kinds of issues and for it not to connect much to the actual life they are living. It’s no coincidence that the difference between ‘blogger’ and ‘blagger’ is just one letter. A few years ago I was challenged by seeing my next door neighbour’s commitment to Ramadan. Since then Lent has taken on a far deeper significance for me. I want it to be a time of real change in my life. ‘The false self is the self which is fabricated by social compulsions. “Compulsive” is indeed the best adjective for the false self. It points to the need for on-going and increasing affirmation. Who am I? I am the one who is liked, praised, admired…what matters is how I am perceived by the world. Nouwen was writing in 1981 but his diagnosis is even more relevant in today’s internet age where what we choose to share online easily creates a ‘false self’ unless we are careful. His book unpacks the wisdom of the ancient Christians who sought solitude, silence and prayer and thus resisted the strangling conformity and complusions of the world. So for this year’s Lent, I have decided it’s time to cut back my online activity and take a break from writing on R&R and also from facebook and twitter. I am not giving these things up because they are a bad thing. It is more because I recognise the potential they have to become too consuming. Also, more positively, time not spent online will give me a bit more space for other important things such as reading, reflection and renewing proper contact with old friends. But the deeper reason is that I need to make time and space to retreat into God. I need to spend more time in solitude, silence and prayer. And unless I am intentional and committed about it, it won’t happen. Next postGuilty by association: is this the end of R&R? I think that’s a very wise decision Jon. Blogging and social media eat into our time so much if we’re not careful at the cost of the relationships with friends and family. It’s good to have breaks from it. I try and stop blogging during school holidays, so that I’m not distracted from my family. I find it also keeps me sane and gives me renewed energy for when I come back to it. I realize that I’ve been spending too much time online and that I can be more productive and present if I just put down my IPhone. 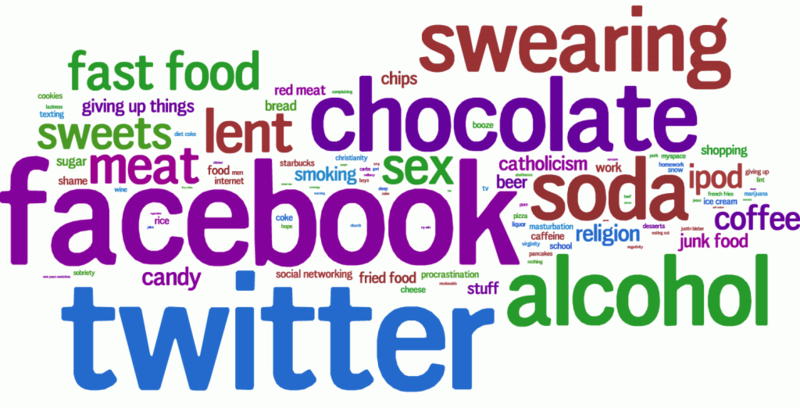 I hope to take a Twitter break during Lent. I signed up for a writing class in order to be creative and reflective. I figured God might think this is a better use of time than mindless web surfing. really like this blog Jonny.. (plus the “Dad, you’re a nicer person without your iPhone” one). I caught myself doing exactly the same to my own dad during his recent visit. i mean, how often does your dad come all the way to the Philippines to visit… and there I am on facebook the whole time!! you’ve inspired me to see how i can cut down on my own social media use now too… so cheers! Thanks Tom – sometimes it takes something like your realisation to prompt us into action. Live in the real world man! Thanks for reading – we need another Tommy G contribution soon!